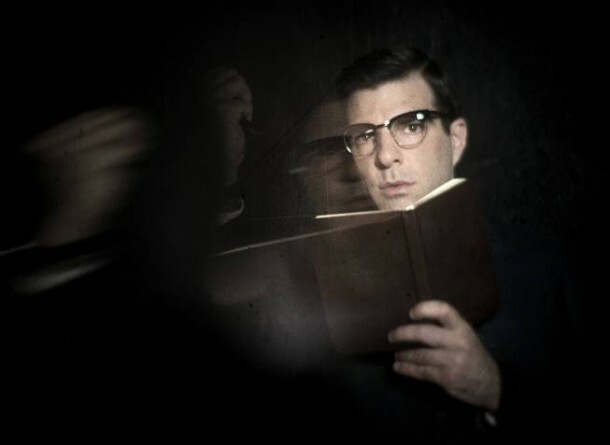 Zachary Quinto took the time to chat about his intense role on American Horror Story: Asylum. He plays Dr. Oliver Thredson and it was just revealed that he is Bloody Face. Who saw that one coming? This season has been incredible, and Zach is doing a brilliant job. I can’t wait to see what is going to happen next. Don’t miss a single episode of the thrilling drama that is American Horror Story: Asylum, Wednesday nights on FX. Q: You tweeted and now everyone knows. When did you know? Did you know from the beginning? If you did, did that inform your performance at all? Zachary Quinto: Yes, I knew from the very beginning. It was part of the conversation that I had with Ryan [Murphy] about me coming back to the second installment of the show, in the first place. It very much informed the character that I was building from the beginning. As a result, I felt like my responsibility became to create a character that people could trust, or at least trust initially, and have some hope that perhaps he is actually the one voice of reason and sanity within this chaotic world. So it was actually more exciting for me to know from the beginning. It gave me more to play with and more to hold back and more secrets to keep. Q: What got you hooked on really wanting to play this part? Zachary Quinto: I think any time an actor revisits territory that they’ve been in before, it can be a source of trepidation, as it was for me. But part of the reason that I loved what the opportunity stood for was that I got to know, going in, I got to really build something. With Heroes, that character was built before I was ever attached to it. There were eight episodes of anticipation that were built before you met “Gabriel Gray” in Heroes, but I had no participation in that. I had no opportunity to sort of—it was just the character spoken about. So for me, it was really exciting to get to go in and having all the information, and actually be that part of the process of creating a character. That, to me, was a difference. That, to me, was something that I thought, yes, that makes sense, and it also has a similar structure to the journey that I had on Heroes, at least the introduction or the reveal, as they say; which proved very effective in that scenario and I felt I could really also serve this story in this particular innovation as well. So that, and that it’s just more rooted in character and relationship, and less rooted in the sort of peripheral elements like superpowers. I liked that this was grounded and real. It’s something that I’m always drawn to is that kind of direction. So I felt like it was—and it wasn’t—it’s not a six-year commitment as it could be with another show. It’s self-contained and it was an immersion that I’m not going to be repeating or carrying on for an extended period of time. It was something I got to go do and contribute and benefit and grow and learn, and then be on to other creative pursuits and that, I think, is an environment in which I thrive. So I was really excited about all those elements. Q: In the scene when you did the aversion therapy with her and tried to change her, what are your thoughts on that? Zachary Quinto: I mean I think the scene was very reflective of a pervasive mentality of the time. As unsettling as it is, I think it was powerful to revisit it and to present an audience with a reflection of that kind of really abhorrent thinking. Obviously, we’ve come a long ways since then and that’s great. There’s so much progress made and more work to do. So I think it’s always good when you’re able to, as an actor, allow your work to be some kind of a conduit for a social discourse. I think an examination of where we are as a society and I think this season of the show, this iteration of … installment, I believe we call them. This installment of the show is really doing that in a lot of powerful ways, that being one of many. So another reason why I’m grateful to be a part of this kind of storytelling and this kind of environment. Q: Now that we know “Thredson’s” very dark, very dirty little secret, are we going to get into the psychosis behind this psycho here and find out why he’s doing this, because he seems to be doing a little specific with “Lana” and her girlfriend? Zachary Quinto: Yes, next week’s show is called “The Origins of Monstrosity” and so it really dives into a lot of the roots of the characters in this world in Asylum. So yes, a lot of things will become clearer and probably even more disturbing in the next couple of weeks. Q: I’ve heard that you and Sarah Paulson are pretty close. You have a good friendship. I’m curious how that dynamic impacts your themes, especially considering, like you said, things are only going to get darker from here. Zachary Quinto: Well I especially have a respect for Sarah as an actress, but it’s a rare and unique opportunity to show up to work with a really good friend. Oftentimes, friendships are formed on set and through these kinds of experiences working together in such intimate and unusual ways, but it’s even a richer experience when you already have that foundation of friendship. So there’s an implicit trust and sensitivity to each other and our needs and our instincts and our individual process. It’s really a remarkable gift in a lot of ways. So we also are able to have more fun, I think, and laugh at a situation a little bit more. There’s less awkwardness to cut through. Yes, so I think it strengthens the connection that the characters share, whether it’s friendship or torture or hostage, whatever it may be, but we’re really—I love going to work anyway, no matter who I’m working with, but in particular with Sarah, it’s been—and I think she’s doing such wonderful work on the show that I also just love watching her character and the journey that she’s taking. She’s gone to so many extreme and challenging emotional places, and done it so beautifully and dynamically. I just think her work is so incredible, so it’s been a joy for me, really, this whole experience. Q: What are you watching on television right now? Zachary Quinto: I’ve been watching Homeland pretty religiously. I’m a pretty giant fan of that show. I mean, it’s really compelling and so well executed, so I like Homeland. It’s hard to have time to, but the good news is that it’s so … television. It’s like I’m so excited for House of Cards to come onto Netflix. On February 1st, all of those episodes are being released at the same time. I guess the whole season on T.V. and created and given to an audience. It’s the way in which we’re watching programming is so interesting to me. So, yes, I like to watch Homeland like on demand, if I miss it on a Sunday night or something. What else? I’ve been known to watch an episode or two of The Voice, I will say that. I think it’s, of that kind of programming, I think it’s really innovative and unique and well done. I think the performers—I don’t know—I find there’s an element of authenticity to that show that I really respond to and I very rarely respond to any kind of reality programming. So if I’m going to watch, it has to be people doing something that I could never do and obviously, each one of those singers that holds true for. I’ve watched a couple episodes of that lately. I’ve watched Boss, which I think is also really great television and I hope more people watch it or can see it. It’s like that stuff is so accessible. So that’s kind of about it. I mean, it ebbs and flows in terms of my availability for it. Q: Everything about “Oliver” that we’ve seen so far—was everything a ruse? Or is there a side of him that deeply believes in the psychiatry part? Because one of the last things we saw him do before the big reveal was tell “Sister Jude” that “Charlotte” had post-partum depression and recommended she shouldn’t go home; which was a smart move on his part. But again, was it all just blending in or does he believe in that? Zachary Quinto: I think he definitely believes in it. I think part of being a psychopath is an ability to dissociate from one reality and create another one completely. I think he does that expertly. I think his level of training, medical training and intuition instinct—I think he’s very skilled. I mean, that’s what allows him to get away with it as long as he does. So yes, I think he does believe in it, which is kind of another layer of tragedy of the character is that he could have been something else. He could have made a more significantly positive contribution had he only rechanneled his traumas, his energy. Q: I want to ask you about approaching Season 2 as more of a threat as opposed to Season 1 where you’re playing victim. Was there any kind of difference there? Did you kind of maybe go into a different method from one season to the next? Q: What can you say about the victims that he’s targeting? Obviously, they’re all women. What do they all have in common and what is it about them that make them his targets? Any interest in returning for Season 3? Zachary Quinto: So for the first part of that question; you’ll find out much more about that in the coming weeks, so I won’t spoil it by being too specific. But it all traces back to one source of trauma that then sort of branches out to include all of these unfortunate women. I just read today that the show got picked up for a third installment, so that’s very exciting. I’m so glad it’s doing well and people are really responding to it and FX has been really great and so supportive and, I think, innovative in the stuff that they’re doing. So it’s great to work there and be a part of it. I haven’t had any conversations with Ryan about what he’s thinking for the third season, so I have no idea. I love my job and I love the people that I do it with and I always want that to be the case. So I know he has plans and if they involve me, I’m sure I’ll have a call at some point; but I don’t know anything about it. I’m just focused on getting through the rest of this season and moving onto the next phase of stuff that I have lined up. Q: What did you think of the fan reaction to the big reveal? Zachary Quinto: Oh, I mean at least the things that I’ve scrolled through seem supportive and excited about the direction that the show is going in. So I’m sure I’m more likely to sort of have those people reaching out to me than people who aren’t excited about it, which is sort of the nature of Twitter in the end, isn’t it. But, yes, I don’t know. I hope people are into it and on board for where it goes from here. Q: So we have seen “Bloody Face” in the future or sort of present day scenes. I’m wondering—I don’t know to the extent you can speak to this, but will we find out whether present day “Bloody Face” is also “Thredson”? Zachary Quinto: Wouldn’t that be cool? Yes, you’ll find all that out; you’ll find all that out. Everything is going to—I’ve just read the next episode last night. It was pretty freaky and cool. I mean it’s really driving to a point very, very well. The storytelling structure of Asylum I think is really going to pay off in a really big way. So I think all of the questions that people have, and that the episodes that are airing right now are generating, will definitely be answered. That’s my instinct, at least, having read up through almost the end now. Q: I wanted to ask about was your decision to do this series based on the fact that it’s not actually American horror, so much as it focuses on more modern horrors in the world right now. Zachary Quinto: I do think it’s mostly uniquely American. I think in the way that it’s structured in the certain instances where it’s imaged to stories that have come before it, and also in what it’s looking at. The sort of Catholic institutions in this country, in particular, and the social history of racism and homophobia, and sanity, psychiatry, the idea of how to treat people who are mentally ill. I mean, I think those are all very American ideas and concepts and I think the way in which we dive into them is also really American in the style of storytelling. I thought Episode 5, the one that just aired, Alfonso Gomez-Rejon directed and I thought did an incredible job. I mean, it was like I was so inspired by his direction and the camera work. It felt like such a wonderfully composed episode. I think that is really somehow reflective of America now, in the modern world, and also where we’ve come from and that’s what excites me about the kind of show that we’re making as well. Q: With you being involved with Season 1 of American Horror Story; did Brad [Falchuk] and the guys allow you to provide input into your new character in Season 2? Zachary Quinto: Yes, I had a few conversations with Ryan and Brad before we started. Ryan and I had a couple of connections about what he was thinking and I had some questions and had a chance to contribute to what I would like to see. But once they got going, it’s like their engines just drive them and all of us forward in such surprising and unexpected ways, so the vast majority of that comes from them and actually bring it to life. That’s how I see it. Q: You’ve played some very different characters. “Sylar”; there was a lot more to “Sylar” than met the eye. You played an iconic “Spock” and now you’re playing a psychotic serial killer psychiatrist. What was your favorite and most fun to play? Zachary Quinto: I mean, I feel like each one of those experiences was so profound and unique and my last side of six years has been just full of growth and creative fulfillment. I don’t know. It’s hard to sort of narrow it down one, but my favorite, I feel like they are accumulative in a lot of ways. As far as the T.V. aspect of it goes, I would say that I feel more settled as I’m getting older and sort of like my experience of things feels kind of more complete. So “Thredson” has been very satisfying to me in that regard. I just feel like I’ve been carrying more of my experience with me into my work and as I get older, that deepens naturally. So that’s kind of cool, but I just like to do good work, or try to do good work with good people and I’ve been really so lucky in that regard. As long as I continue, that’s all I could ask really. Q: When you’re recognized by people on the street or wherever, is it usually because of Star Trek or Heroes, or this show, or what do you think? Zachary Quinto: Well as it’s gotten more frequent like over the years, I mean the good news it’s kind of like for maybe more than one thing now. Or like people that just sort of know me, but I don’t know. I don’t really—I just try to meet people where they’re coming from. If it’s about a particular project then I talk about that. If it’s about something more general, like support of the president or other ways in which they might know me, then I talk about that. But I don’t really keep track of what it’s of; I don’t tally it up so much. Q: We have seen your character sort of become a big focal point with this big turnaround with “Bloody Face,” but what are your other favorite storylines, outside of your own, on the show that you really are excited for people to find out more about? Zachary Quinto: I think that the “Kit” storyline—I really love also watching…Evan [Peters] I think is fantastic. So I really love that; I really love what Lily [Rabe] is doing, now that she’s got the devil inside. I think that’s just such a delicious kind of—she’s doing such great stuff with that. That’s really fun for me to watch and I can’t take my eyes off Jessica Lange. I just think she’s so committed to just her ferocity of instinct. She’s just like—it’s so riveting and inspiring at the same time. So I love working with these people. I wish I had more to do with James Cromwell. I have never really crossed paths like the doctor in the asylum, but maybe there’s something to look forward to there. We’ll have to wait and see. Q: It looks like your character might be getting a little more physical. Like there might be some more physical challenges, like in church kind of blocking issues and such. Has it been challenging in any way in that regard and also, anything thing that you can say along those lines about the actual “Bloody Face” mask, which was so revolting? Zachary Quinto: Well, I think it’s an interesting point you bring up, in terms of the physicality of a show like this and when you look at it, a lot of us have had to go through some pretty intense physical experiences, whether it’s Chloë [Sevigny]’s character, her legs being removed and Chloë having to embody that. Or Sarah Paulsen having to endure the physicality of—her character has electroshock therapy. Or any of the people who have been murdered or attacked or killed, it’s like we all have the capacity to understand the difference between, so this isn’t reality in the stories that we’re telling in the make-believe, pretend world that we live in when we go to work every day. But our bodies aren’t so discerning and when you put them through such intense, relentless, overwhelming stimulation; it can have an effect, certainly, physically. I mean, we’ve been taking care of our bodies and making sure that we’re doing what we need to do to get body work and exercise. I think that’s an important element of being an actor on any level, so other than that, just making sure that we’re able to shake it off. I never had trouble, really, shaking anything off, but this character has been and certain things that have happened, have been a little bit harder to leave at work. But then, it’s not like I can’t—I don’t know. I think that line is important to maintain the clarity, but that’s my particular perspective on it and I’m grateful to be able to do that. So, yes, that’s how it’s been. 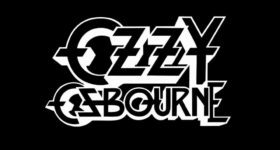 Q: Did you always know it was going to be an anthology? Or when you did the first season, did you think? Zachary Quinto: No, I didn’t know. I mean, when I did it the first time around, the timing of it worked out really well for me because Star Trek had gotten pushed, so I ended up having like a little bit of a window that I didn’t expect to have, and Ryan called to ask. I just thought it was going to be a couple and it ended up being four episodes in that first installment. But I didn’t know what it would be, and then it was in the middle of that, that he actually brought up the idea of the second season being entirely different. That was the beginning of the conversations, which really intrigued me, obviously. I had been exploring the possibility of another specific job that would have been a more traditional sort of T.V. structure and it was really exciting in its own way. But when Ryan presented the plan to me about this, it just seemed like there was no question that it was a little bit more unique and exciting to me, because of that, so that made my decision pretty clear. This season is more challenging just because I’m more of an integral part of it and there’s just more work to do to build the arc of the character, because it’s a more extensive arc. But also, therefore more rewarding and more fulfilling in a way, because you’re really seeing something through from the beginning to the end. So that’s cool. I have a good time with that. Q: So as with the first installment, the Asylum is like a character on the series. Can you talk a bit about how the environment helps you get into character? Zachary Quinto: Yes, that’s a great observation, because I think that our production designer and the art department—I mean, I think they’ve done such an extraordinary job of creating this immensely oppressive, overwhelming environment, which does have actual characteristics depending on what part of the set you’re shooting in. I just think it’s a gold mine of information and opportunity for action and activities along the way. It’s just such a full environment that we work in. It’s great; and that continues in the coming weeks because you get to see much more of the lair in which Lana is being held captive and a lot of their scenes take place. Yes, I think the asylum itself, I think the hydrotherapy room and what that invokes and what happens in there, I think the bakery and the grand hallway and all the cells and the offices, and that institutional feeling, that heavy-footed, oppressive, concrete olive green kind of brown-beige. I went to Catholic school growing up and it really invokes a lot of the same imagery. The … icons and iconography and stuff with statues, I think all that stuff is so well realized in the world. I’m really grateful to the creative team behind that because they do remarkable work. Q: With the dark, and so intense, subject matter, how hard is it for you to step away from that, when not on set? How does this character have an emotional effect on you? Zachary Quinto: It does to a degree, but I consider it my responsibility to myself to be able to discern the boundaries in my life. So I really try to separate myself as clearly as possible. As a trained actor, I mean that’s part of what I learned how to do as well. Going to college and studying, and cultivating a technique that allows me to enter some of these really complicated, psychological landscapes and not get lost in them. But, yes, I have, certainly, outlets and things that I can do, and do, to make sure that I stay grounded and clear, but it’s also that’s what’s kind of fun about it. I know that I can let myself go in certain ways, because I won’t go in others—in the ones that are important. Q: What makes a good horror story? Zachary Quinto: I think stories that reflect societal fear back at the audience on some level, on some visceral level, is the most compelling kind of horror. I think that’s what this show is doing in a lot of ways, and it’s sort of evidenced by some of the commentary that even some of the other journalists have brought up on this call. Tackling issues that have relevance to our modern society through another point of view, or another time period, filtered through different perspectives and really getting to the root of what drives us as a society, as a culture, as an audience. I think that can be really scary and I think that that’s what’s really happening in a lot of ways with the characters that we’re all playing this year, and the scenarios in which they find themselves. Q: How do you prepare mentally to play this dark, demented kind of role, and do you enjoy it, or find it more of a challenge? Zachary Quinto: It depends on the scene. There are different levels of preparation for different scenes in different kinds of work. So I have a combination of things that I do. I usually just find some solitude and some quiet in a little corner of the set where there’s not a lot of traffic and not a lot of people around and do what it is that I need to do. I listen to music a lot, if I need to get into a particular emotional space, I use that and just other sort of stretching, just breathing, taking time to mostly be quiet and find that kind of stillness. I think that’s important. I love playing characters that go to extreme places and I love to explore different kinds of psychological landscapes, so it is ultimately a kind of fun, but it’s also complicated and colored by the depth of the nastiness of it at certain times as well. That can be a challenging part. Q: Acting, producing—it looks like you even dabbled in writing. What is your passion? Or are you just doing all this so that one day you can direct? Zachary Quinto: I would love to get myself to a place where I feel like I’m ready to direct. I’m not there yet, but I aspire to that for sure. My passion is acting and has always been. It’s what brought me to this point of being able to diversify and do other things, and I hope that it’s something that I’ll continue to have a passion for. I can’t see that changing, but I’m also really fulfilled by having a production company and producing the views and learning about how that works and happens. It’s a totally, entirely separate skill set and it’s one that I happen to also enjoy, so I intend to cultivate all of those things until I can’t anymore, I guess. That’s kind of my goal and I love to be challenged and busy and so far, so good. I just want to do whatever I can to continue to encourage that. Q: You’ve played such diverse roles, is there one role that you dream of playing that’s on your bucket list? If so, what is it? Zachary Quinto: Oh, I never tend to think like that. It’s so strange, because if I look back at the experiences that I’ve had, that have been so instrumental in my growth as well as my exposure, I could have never predicted that they would have happened, where I would have never necessarily thought to wish for them to happen, but they happened in very unique ways. I tend to have an openness toward that and a faith in that, that’s served me so far. So I just hope that continues—I don’t know. I try to make informed, intelligent decisions and I know what I respond to when it presents itself, but I don’t tend to—I mean, I guess with my production company, it’s a little bit different in terms of developing material for myself. I know the kinds of stuff I want to do and the direction in which I want to go creatively with my career in that regard, but I don’t think of it in terms of like a dream role. So we’ll see how it all unfolds. Q: I wanted to get your thoughts on why you think horror shows and kind of really gory stuff, like American Horror Story and The Walking Dead have played so well this year on cable. Do you think there’s anything that some of the networks can learn from how well this stuff is doing with audiences? Zachary Quinto: Well I imagine there might be something—I mean I think the networks already know it and it’s that the boundaries can be pushed further on cable and unfortunately, that’s not necessarily anything that they can do about their own restrictions in the kinds of stories that they’re telling on network T.V., which are also compelling and really rich and good in their own way in so many cases. But I mean I think there’s obviously a sense of collective anxiety, I feel like, in the world that we live in and it’s very complicated, precariously perched in so many ways; environmentally, politically, socially. I think that some of these shows reflect that back. That’s what I was talking about before when I think about the most affective kinds of horror storytelling, it taps into that kind of primal fear that all of us share and that builds within a society and that needs an outlet. So these shows that are able to be so bold and graphic and uncompromising, unflinching, stand to serve that purpose and be the sort of receptacle for all that collective anxiety. I think that’s important, actually, in a social function; especially in a world that has as much anxiety as the one that we live in does. I think in some ways, it’s exhilarating, but it’s also a little bit scary that that reflects the world we live in as well. Q: I know that you’re “just an actor” in the show, but I was wondering if you had any insights as to whether the writers and producers, whether they worried about maybe going too far. It seems like the second season is way more intense than the first season, more graphic, more everything over the top. I was wondering if they worry about that, if they’re going too far or whatever? Zachary Quinto: Well, I mean I think that they’re certainly sensitive and Ryan is a very sensitive artist. I think he’s constantly striving for balance in his work and never wants to go too far in one extreme direction or another. So I think there’s a process of refinement that the show goes through as its post production happens and Ryan is an integral part of that. I think there are checks and balances and measures in place to make sure that it’s driving in the right direction. I think so far, it is in a lot of ways. But I do think it is more uncompromising this year. It is sort of tackling more things at once and really diving in and examining. It feels like it’s pulling an audience along in really dynamic way, so hopefully that’s generating a response. It seems to be, anyway, with people coming back and watching week after week. That is, after all, I believe how they assess those things, at least at the network and the studio. Q: You came off of a megahit movie and you were in between projects, were you scared to actually go back to T.V. and get locked into the T.V. rut again? Did productions delay Star Trek … affect that decision? 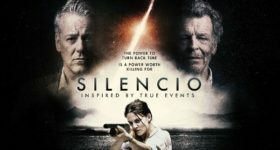 How do you think the genre is faring as it relates to movies? 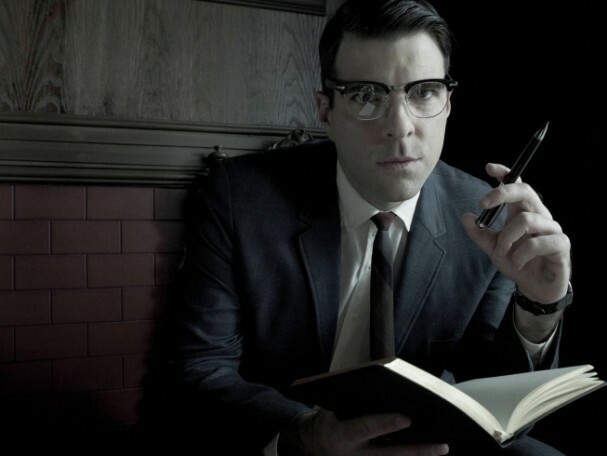 Zachary Quinto: Right, so the first part of that question is, was I concerned about getting stuck back in T.V. sort of, like was I concerned about going back to television? No, not at all. The unique configuration of this particular show is really different than going to television in a different capacity because each season is self-contained. It is creatively more engaging because if you are going back to the show for another installment, then you’re definitely going to be playing a completely different character than the one you just played. So it’s not a sense of—there’s no sense of stagnancy or fatigue because you’re constantly recreating and reinvesting in the character. Then from just a business standpoint, or in terms with like the challenge with television, sometimes getting what you can get; in success, you can get into a situation where you are obligated contractually to a show for years at a time. Sometimes six, seven years if the show is enormously successful, and that can be outrageously beneficial and satisfying. It can also be really frustrating, I imagine. I spent four years on one show and there were its own set of challenges with that, but that’s the other cool thing about it is, there is no stuck because there’s always a finite amount of episodes. So I think it’s structured really beneficially and I think that’s why actors like James Cromwell and Joe Fiennes and Jessica come to an experience like that. It’s attractive in a different way for somebody that’s used to doing features and used to having more flexibility with their schedules. We can come and do this and then still have that in other ways. Yes, horror has gone through some style transformations with—I think the micro-budget, the success of movies like Paranormal Activity—I feel like there’s a lot—my production company actually produced a micro-budget fund for this horror movie that we just finished post production on and are in the process of taking to the marketplace. It’s interesting to find the home because you can do a lot more for less now; less time, less money, less resources. You can still generate some really significant scary content and I think that studios are fluctuating in their reactions and their relationships to this kind of storytelling. It’s a little bit of a see change in the feature world, which could also have something to do with the emergence of really successful horror series on television, perhaps. They can be a little more tried and true, or evocative of old school horror storytelling, but I think it’s exciting no matter how you cut it and I’m grateful to be a part of a series that’s taking steps forward and innovating in different ways in storytelling and content exploration. Q: In your mind, what is too far? Is there a line that you wouldn’t cross with regards to horror? Zachary Quinto: After I read the episode last night, I was asking myself the same thing. Yes, I don’t know. If there is a line that I won’t cross, I haven’t reached it yet; at least on this show. But I’m sure it’s particularly circumstantial and that I would know it if I ever was in that situation. But I think things are handled with enough respect and professional and creative acumen in the world of American Horror Story that I’ve always felt safe and I’ve always felt supported. So I think those are the two most important elements, trust and professionalism and we have those in excess at American Horror Story; so that’s good, that’s good. Q: Do you have any idea on “Dr. Thredson” intent with aversion therapy? Was he actually trying to help in any way? It almost seems like maybe it was sort of test. Zachary Quinto: Yes, I think it was a test and I think he was also—I think a lot of his actions in the first four and a half episodes of Asylum were serving some ulterior motive. So I think he was trying to gain his trust—I mean gain “Lana’s” trust; gain some proximity to her and some intimacy with her. I think he was definitely trying to show her that he could be there for her; that she could rely on him even through something as ugly as that and as brutal as that. As barbaric as we can see it today, at the time it was a pervasive social mentality that homosexuality was something that could be treated medically or psychologically. So I think to that end, he was implementing the forward thinking of the time to try to help her, or try to feel like he was helping her, to make some effort to get her out of there. Then it put him in a position when it didn’t work to devise a more radical approach to getting her out; that she would then be more likely to go along with because he’s already tried the more prescribed route or institutional route. Let me see if I can prove that I’ve cured you, then they have to let you out. But when that doesn’t work, and he knows it won’t I think on some level, then he can sort of be more radical about it and she already has more faith in him. She already has trust in him, so she’s more likely to go along with it. I think it’s kind of a manipulative tactic that worked to a tee for him. So I think that’s what’s that’s an example of there.